Abingdon Press is releasing a new compilation of E. Stanley Jones writings. 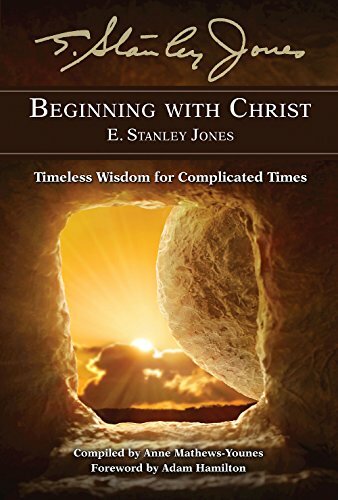 Beginning with Christ: Timeless Wisdom for Complicated Times features selections from Jones’s writings complied by his granddaughter Anne Mathews-Younes. With a foreword from Adam Hamilton, this book offers you the companionship of the man who shared the table of fellowship with Gandhi and inspired world-changers such as Martin Luther King, Jr. and Billy Graham. This collection is timely because these reflections are timeless.